The Void is an interesting indie horror movie. It’s a Carpenter-esque reverse siege movie with a Lovecraft bent. I found the practical effects very enjoyable. If there were any CGI effects, they blended in very well. The Void is currently available on VOD. There is a DVD disc available, but there are many reports of issues with the disc. The blu ray is only available at diabolikdvd.com. 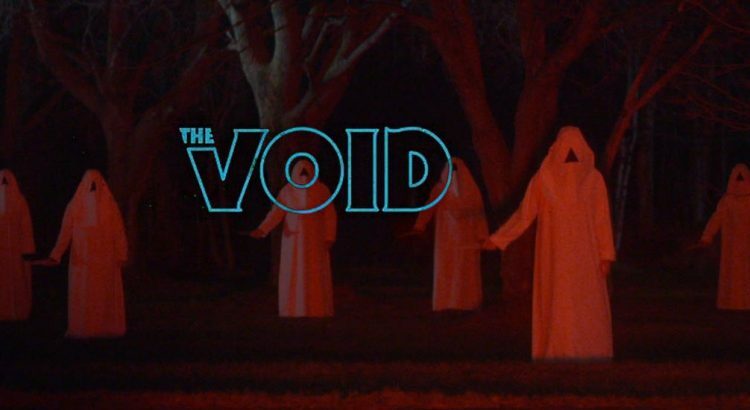 The Void opens with 2 men gunning down a woman exiting a farm house. A young man gets away on foot. He makes it to a road where Sheriff Daniel Carter is sitting in his patrol car. Daniel takes the young man to the closest hospital – which is in the process of shutting down and is extremely short-staffed. Hi-jinks ensue. From the hospital being surrounded by cultists in white garb with a black triangle on the face masks to tentacles. I think this is worth a watch. Is this a perfect movie. Nope. You do not get a complete picture of the events on some of the people that are part of the story. But you can infer a lot. And it can be that ambiguity in a story where what you come up with is worse than anything shown that can make a movie.